The new UNOS system aimed to address the primary factor for determining a patient's priority level on the kidney transplant waitlist for allocation of deceased donor kidneys: how long they have been waiting for a transplant. A new kidney allocation system implemented in 2014 by the United Network for Organ Sharing (UNOS) led to a narrowing of the disparities in national kidney transplant rates among whites, blacks and Hispanics on the transplant waitlist, according to a new analysis. The new system led to a substantial increase in the kidney transplant rate for blacks and Hispanics in the months following implementation and a decrease in the rate of kidney transplantation for whites. The research, published in the June issue of Health Affairs, was conducted by a team at Emory University, with lead author Taylor Melanson, from Emory's Laney Graduate School, and senior author Rachel Patzer, PhD, MPH, assistant professor of surgery in Emory University School of Medicine. Nearly 700,000 people in the United States have end-stage renal disease, with care for these patients costing Medicare $32.8 billion in 2014. 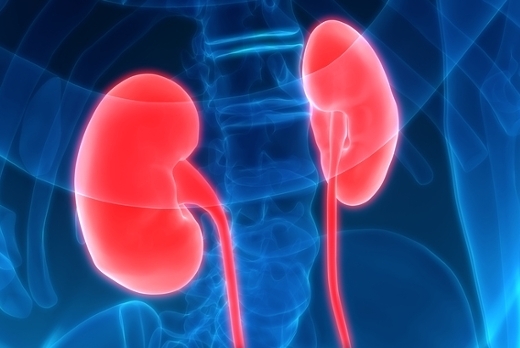 Kidney transplantation is the preferred treatment for most patients with end-stage disease because it offers longer survival, better quality of life and fewer hospitalizations than dialysis. Transplantation also costs about 65 percent less than dialysis annually. The new UNOS system aimed to address the primary factor for determining a patient's priority level on the kidney transplant waitlist for allocation of deceased donor kidneys: how long they have been waiting for a transplant. Minorities, on average, are less likely to complete the necessary medical evaluation to be placed on the national wait list for transplant. Prior research has shown that this may be due to a variety of factors including poverty, limited dialysis facility staff to educate patients about transplant and physician bias. Under the new allocation system, the starting point for calculating wait time was changed from the date of waitlisting to either the first regular dialysis date or the waitlist date, whichever was earlier. The change was expected to benefit minorities because they tend to spend more time on dialysis prior to waitlisting than white patients. To determine the effect of the new kidney allocation system on disparities, the researchers examined 179,071 waitlisting records from UNOS from June 2013 to September 2016 and calculated monthly kidney transplantation rates among waitlisted patients. Prior to the new allocation system, white patients were more likely to receive a kidney transplant (1.07 percent per month) than black (0.80 percent per month) or Hispanic (0.79 percent per month) patients. After implementation of the new system, the monthly rates changed significantly to 0.95 percent for whites, 0.96 percent for blacks, and 0.91 percent for Hispanics. Thus, the disparity in the average monthly kidney transplantation rates was narrowed by 0.29 percentage points (rounded) for blacks compared to whites and 0.24 percentage points for Hispanics compared to whites, with both disparities becoming insignificant. "The policy change appears to have at least temporarily eliminated racial and ethnic disparities in access to kidney transplantation for waitlisted black and Hispanic patients," says Melanson. "This is a very positive achievement, but continued efforts are needed to address the disparities that exist prior to waitlist, including the racial and ethnic differences in completing the medical evaluation process to be placed on the waitlist." "Also, the need for kidneys still far surpasses the supply, and without an increase in the supply of deceased donor kidneys, the gains for blacks and Hispanics will result in fewer whites receiving transplants. Increasing kidney donations should be the next policy target to ensure both equitability and improved transplant access," says Melanson. The new allocation system achieved its aim of increasing access to kidney transplantation for patients with extensive time on dialysis. After implementation of the new system, time on dialysis prior to kidney transplantation increased for whites, blacks and Hispanics, as expected. However, the researchers note that dialysis time prior to transplant is trending downwards rapidly and is approaching pre-implementation levels. If the disparity reduction seen was driven largely by increased access for patients with longer dialysis times, they believe there is reason to be concerned that disparities may return as the most disadvantaged patients are cleared from the list. "It will be important to do additional follow up and monitoring on the effects of the UNOS policy to fully understand the longer-term consequences and maintain and improve on the disparity reductions," notes Patzer. "If the disparity reduction is sustained, the kidney allocation system will serve as a valuable example of how health policy can be shaped to immediately reduce racial and ethnic disparities in our health care system."